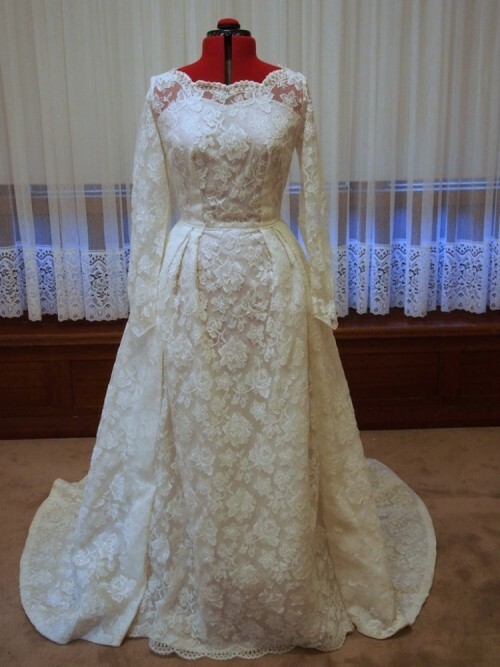 Welcome to Vintage Aisle, my new online store where brides-to-be can find their perfect vintage wedding dress. The creation of this store was inspired by my own search for an original vintage wedding gown which I wasn’t able to find online. After extensive and expensive alterations of a brand new wedding dress to try and get that vintage look I realised it was time to do something about the lack of beautiful vintage garments available to buy. So here I am, opening my online store in the hope I can help other brides find their very own original vintage wedding dress. Be sure to check out the collection available online now or please contact me if you are after a particular style or size as stock is constantly being sourced. Local ladies in Central West NSW (New South Wales) who are interested in having a look at the Vintage Aisle collection, please contact me to organise an appointment.